A catastrophic illness can break people apart or bring them closer together. 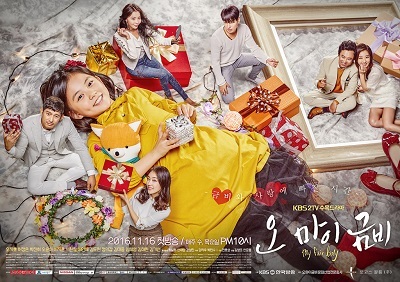 Yoo Geum Bi (Heo Jung Eun) is a spirited 8-year-old girl who suffers from Niemann-Pick Disease Type C (NPC), a rare genetic condition that makes her body unable to properly metabolize cholesterol and other lipids. The condition is often referred to as “childhood Alzheimer’s” because of the rapid mental and physical deterioration that accompanies it. Geum Bi’s father, Mo Hwi Chul (Oh Ji Ho), is a single father who works as a clumsy swindler while trying to take care of Geum Bi. Geum Bi’s stern mother, Yoo Joo Young (Oh Yoon Ah), is estranged from Hwi Chul and disapproves of everything he does. Go Kang Hee (Park Jin Hee) is an arborist who likes to spend her time alone or on the search for stolen cultural artifacts. When Kang Hee meets Hwi Chul, she finds herself drawn into his life with Geum Bi. Can Geum Bi teach Kang Hee to mend her fractured heart?